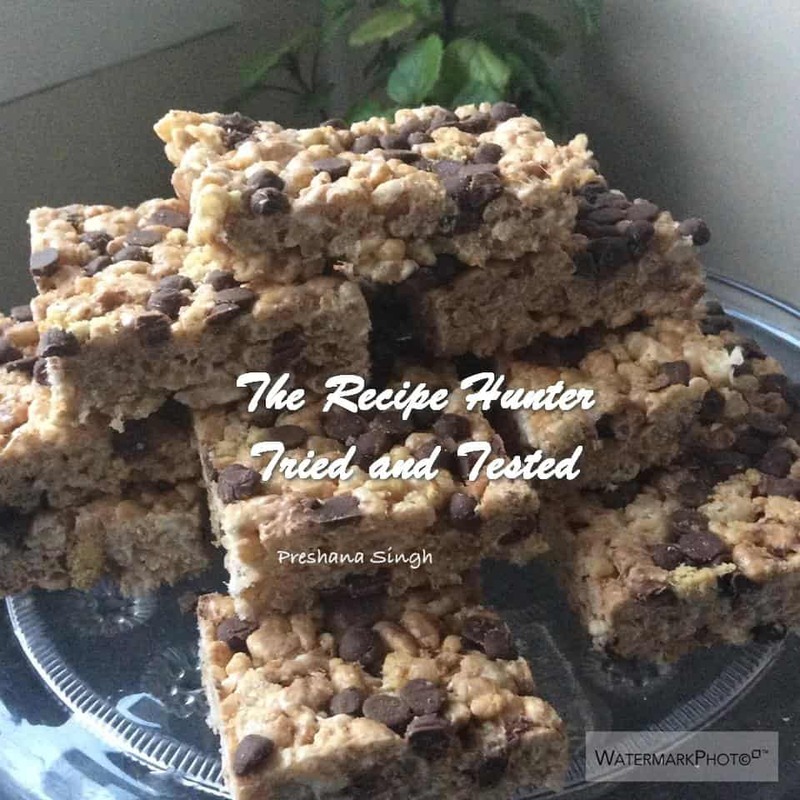 Mix together the rice krispies, Golden Grahams, Marshmallow Bits, and chocolate chips. Set aside. Turn the heat down to the lowest setting and add the marshmallows. Stir until almost totally melted, then add the vanilla extract. Continuing stirring until the marshmallows are all melted, slow and steady. Once fully melted, take them off heat and pour over the rice krispy mixture. Dump into a lightly greased 9×9 pan and let sit 5 minutes. Lightly press into the pan with greased hands. Allow them to cool and set about 20 minutes. Enjoy!